Our range of products include hydraulic road sweeper with bucket and side brush system, hydraulic road sweeper with bucket system, tractor mounted road broomer, road broomer, manual sweeper machine and road sweeping machine with bucket, side brush and water tank system. 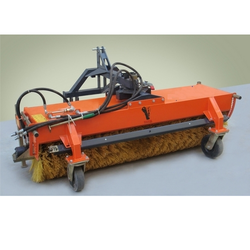 We are recognized trader and exporter of well-designed Hydraulic Road Sweeper. This road sweeper is designed utilizing quality assured components by our vendors which assure its high quality and durability. Moreover, the procured sweeper is well known for strong design and their different specifications for optimum performance. We are leading exporter and trader of Hydraulic Road Broomer. Being a client-centric organization, we are engaged in offering a wide array of Road Sweeper for Road Sweeping. Along with that, we are providing this Road Sweeper for Road Sweeping in various stipulations as per the stipulations were given by the customers. 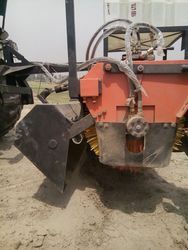 Our firm is involved in manufacturing and supplying a huge range of Tractor Mounted Road Broomer. We design the given product following industrial standards by making use of best quality material and modern technology. Application Road,Floor (In Industry),Lanes,By -Lanes,Vehicle Parking Areas,etc. We offer superior quality Road Broomer to our valuable clients. 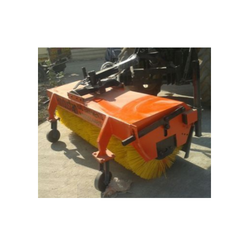 The procured road sweeper is a tractor mounted machines which help in the cleaning of roads and are used by companies who are associated with road maintenance. 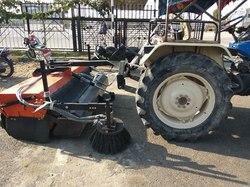 Apart from this, we procured this reliable sweeper from the certified manufacturer of this market. Our procuring agents make sure that the procured product should be manufactured in sync with international quality standards. Manual push back sweeper fro floor cleaning. Use for factory, parking area, garden area, paver block road surface etc. .
We are engaged in offering our clients a superior quality range of Road Sweeping Machine. We design the given product following industrial standards by making use of best quality material and modern technology. 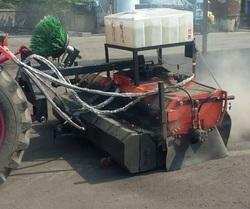 It is used to clean road surface. Looking for Road Sweeper ?